Lieut.-Colonel Leighton Marlow STEVENS, D.S.O. Commanded the 1st Battalion Worcestershire Regiment from August 1923 to 1927. Commanded the 2nd Battalion Worcestershire Regiment from May 1916 to July 1916. Lieut.-Colonel Stevens was commissioned to the Worcestershire Regiment in August, 1899, and joined the 1st Battalion Worcestershire Regiment, then commanded by Lieut.-Colonel J. H. S. Gibb. Two months later the South African War broke out and the newly-joined subaltern bore his full share in that campaign; after which he returned with the Battalion to Ireland. He was promoted Captain in 1903 and appointed Adjutant in November, 1904. At the outbreak of the First World War (1914) the then Captain Stevens was serving as Adjutant to the 5th (Reserve) Battalion Worcestershire Regiment. In that capacity he had a great influence on the initial training of many of the young “New Army” officers, who afterwards did so well in the many Battalions of the Regiment fighting in France and Flanders. It was many months before he could be spared from his arduous work with the Reserve Battalions, but presently he was promoted Major, and in May 1916, he was given temporary command of the 2nd Battalion of the Worcestershire Regiment. 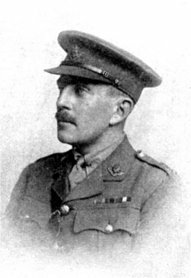 Under his command the Battalion distinguished itself in a well-planned raid against the German trenches near Auchy on the night of the 1st/2nd July, 1916—a raid in which Major (then Captain) J. F. Leman was much distinguished and in which Lieutenants Pigg and Wilmot won the Military Cross. To the great regret of the Battalion Colonel Stevens was soon selected to command a “New Army” unit, when, in July, 1916, he was transferred to command the 18th Lancashire Fusiliers. In the summer of 1918 Colonel Stevens was promoted to the command of the 24th Infantry Brigade, when Lieutenant (later Field Marshal Sir Bernard) Montgomery was his Acting Brigade Major; which command included the 1st Battalion of the Regiment. Subsequently he was given the command of the School of Musketry of the Irish Command. He was awarded the Distinguished Service Order and was three times Mentioned in Despatches during the 1914-18 War. After the First World War, Colonel Stevens rejoined the 1st Battalion in India as Second-in-Command, at Nasirabad, before assuming command of the Battalion, at Meerut, in 1923. He commanded the 1st Battalion, in India, from 1923 to 1927, during which period the 1st Battalion carried out their famous 400 mile march from Meerut to Allahabad which, as Commanding Officer, he personally led and, though a mounted officer, proudly completed on foot with his men. During his tenure of command the 1st Battalion were runners-up, and then won, in two successive years, The Durand Cup, the all-India Army Association Football Championship. Bill Stevens was a very fine all-round athlete, who gained an Army Rugger “cap” — a distinction shared, Regimentally, by only one other officer, Brigadier D. H. Nott (Colonel of The Regiment from 1961 to 1967). He also represented The Regiment for seven years at Cricket, Soccer and Hockey. He was a member of the Regimental “Glittering Star” Masonic Lodge and was also a holder of the British Legion Gold Badge. His wife, Mrs. Eileen I. Stevens, died at home in Somerset on 18th January 1956, age 71. Colonel Leighton Marlow Stevens (always affectionately known as “Bill” Stevens), died at his home, Gosmoor, Brent Knoll, Somerset, on 3rd June, 1965, aged 85 years. His funeral took place on 8th June at Brent Knoll Church, Somerset, at which The Regiment was represented by Lieut.-Colonel A. W. Buchanan, his nephew, by Lieut.-Colonel C. P. Vaughan, D.S.O. (also representing the Colonel of The Regiment, the 1st Battalion, and Lieut.-Colonel E. L. G. Lawrence, D.S.O. ), Lieut.-Colonel D. Chesney, O.B.E. (also representing Lieut.-Colonel M. A. Hamilton Cox), Lieut.-Colonel J. O. Knight, D.S.O., Lieut.-Colonel R. F. H. Browne, and Lieut.-Colonel E. R. Newcomb, M.C.